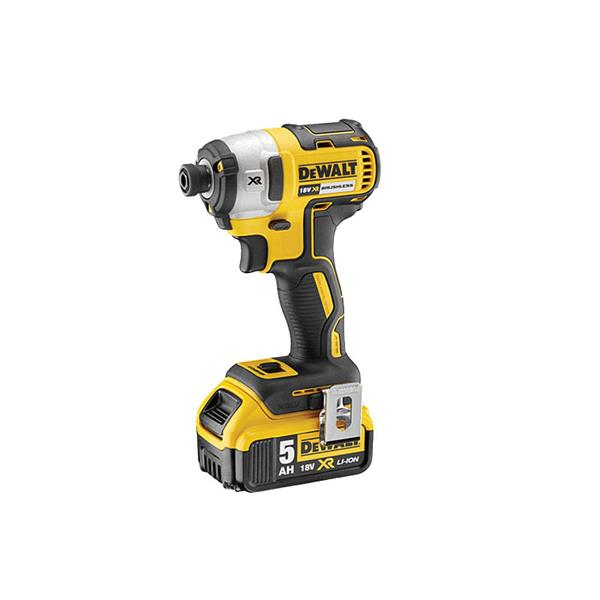 DEWALT DCF887P2-GB 18v XR Brushless 3 Speed Impact Driver The DEWALT DCF887 XR Brushless Impact Driver is Equipped with application control, this is achieved through 3 motor speeds and torque settings. Precision Drive mode offers additional control in screw driving applications to avoid material and fastener damage. Fitted with a high power, brushless motor that is capable of outputting up to 205Nm of torque, ensuring heavy applications are completed quickly. It has a super lightweight and compact design that is very comfortable to use and fits in small spaces. The 3 LED, Halo light ring offers excellent work piece lighting. Body Only / Naked Machine, Supplied Without Battery or Charger.